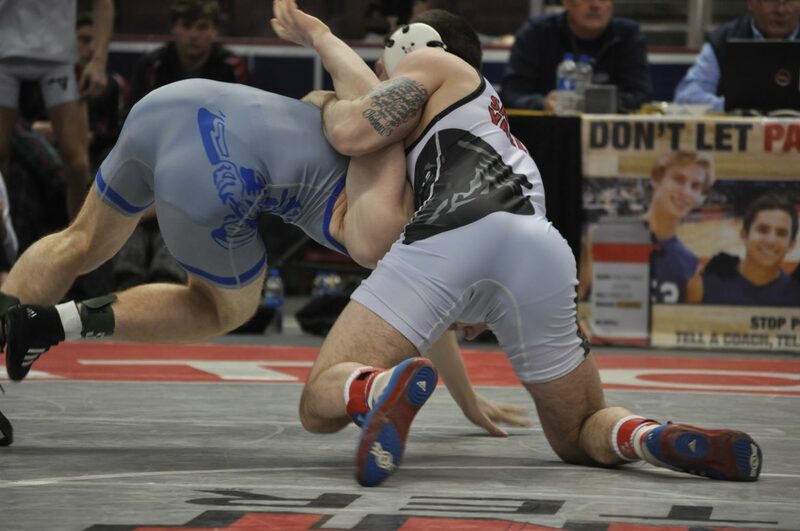 Josh Jones jacks his Raider opponent. The Reynolds Raiders are good, really good. They are the two-time returning state champions for good reason. They are tough, talented and very well-coached. But, one can’t help to think that Saucon Valley ran out of gas prior to the 2019 PIAA semifinal matchup with the Raiders. The depth in the Panther lineup is teetering on shaky ground with the loss of Chris Arciuolo (106) and Matt Arciuolo (160). Jarrett Hirschbeck (170), Braydyn Lugardo (182), Dane Csencsits (195) and Jared Harka (220) are limited with injuries. Hirschbeck, Lugardo and Harka have missed time throughout the season and their participation in matches and practice is limited. Hirschbeck courageously tried to finish his bout last night but his injuries were just too much to continue. Dane Csencsits did fight his way through the pain and competed. Lugardo did not wrestle against Reynolds. Injuries not only take their toll on those suffering from the ailments, but the injuries can also deflate the motivation and confidence of the players’ teammates. The Panthers may not just be physically, but also mentally beat up. 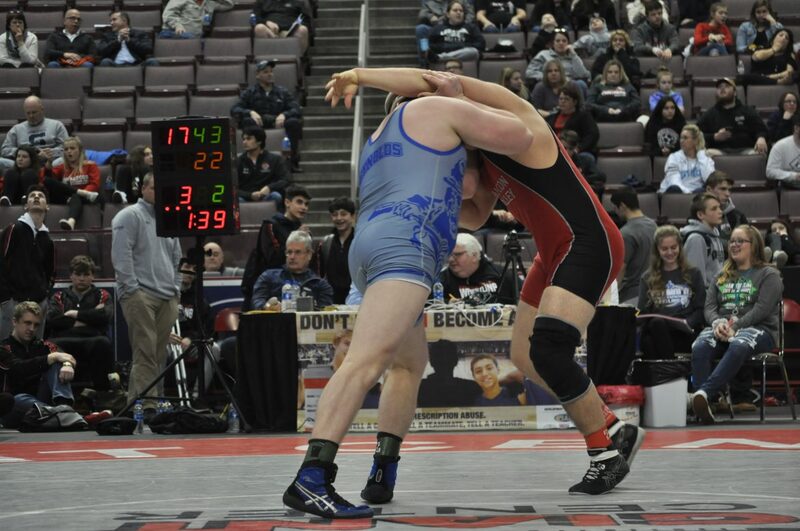 Wrestling, like many other sports, is a long grueling season. And, all teams of course, must deal with the injury bug to varying degrees. But, there is no question that the Panthers would have had a better performance against Reynolds if healthier. 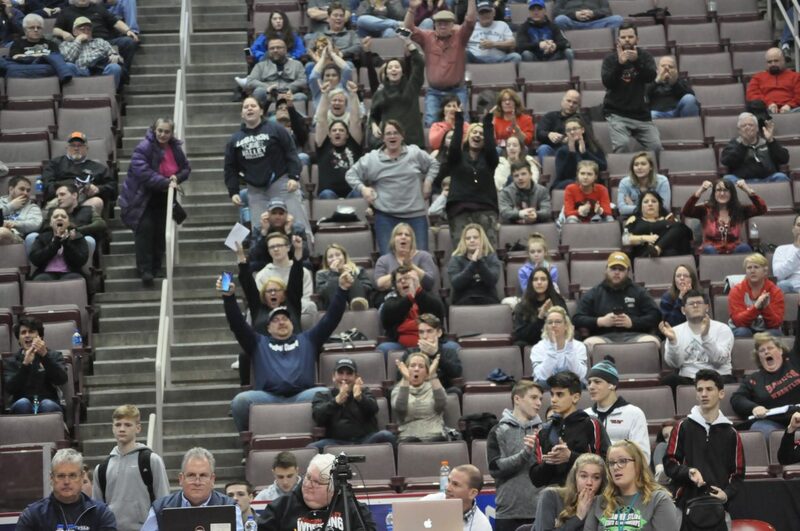 It certainly wasn’t the best showing for the Saucon Valley wrestlers. Now, would a healthy Panther lineup had been enough to defeat Pennsylvania’s #1 ranked team? Maybe, but the Reynolds Raiders are good, really good. 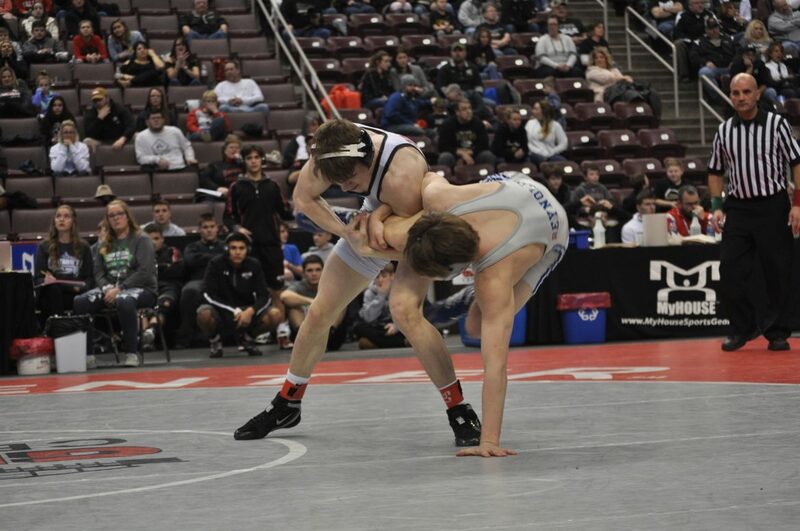 Jones gathering bonus points in the 2019 PIAA championship semifinal. The match started with the 106 pound weight class. Reynolds rattled off four consecutive pins in about five minutes of wrestling time to take a 24-0 lead. Panther senior Josh Jones (132) was able to mask the bleeding with a second period technical-fall to get Saucon on the scoreboard at 24-5. Thomas Spirk wrestled to a hard-fought 4-3 victory. Junior Thomas Spirk (138) and senior Nick Rosengrant followed Jones’ lead and fought hard for their decisions against the Raiders. Spirk won 4-3 and Rosengrant triumphed, 4-1. 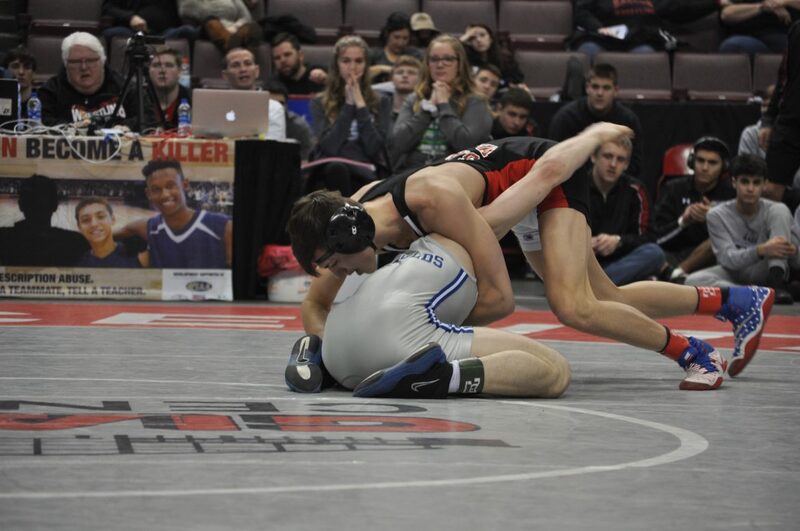 Saucon Valley’s Nick Rosengrant lit the scoreboard for the Panthers with his 4-1 decision. 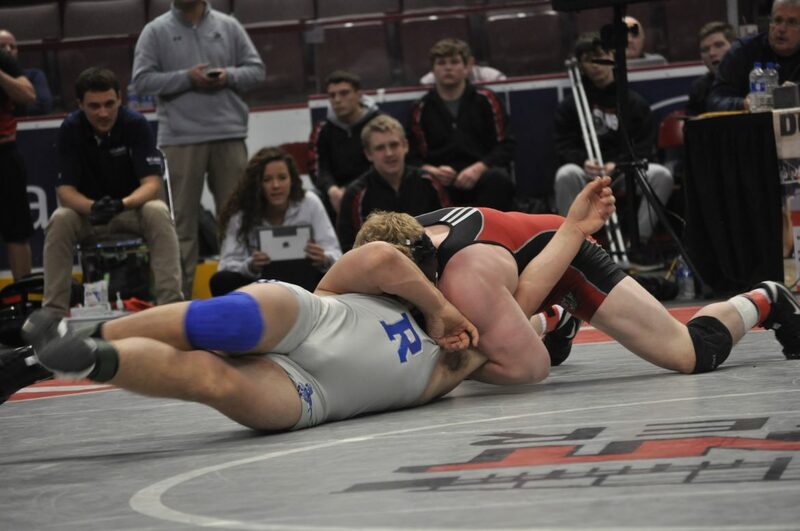 The Raiders, however, won five of the next seven bouts including Hirschbeck’s injury-default to extend their lead. 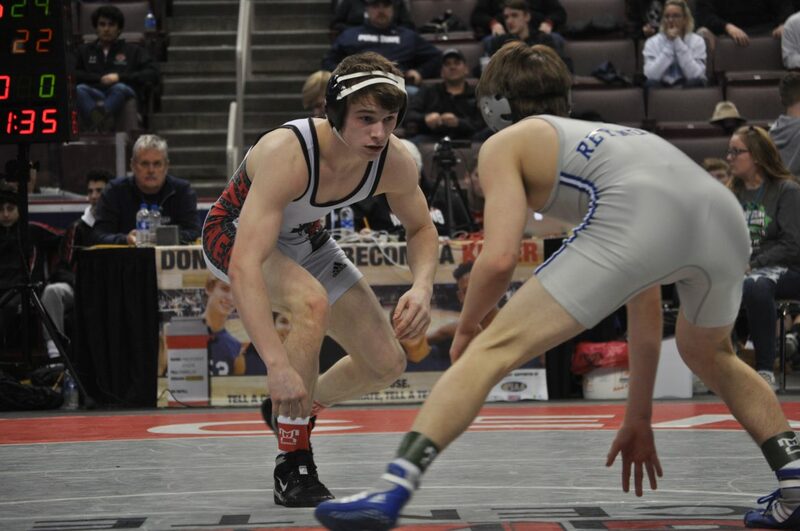 Saucon’s Dane Csencsits and Nick Warnke chipped in tough wins for the Panthers. Trailing 4-2 in the second period, Csencsits was able to reverse and pin his Raider opponent. 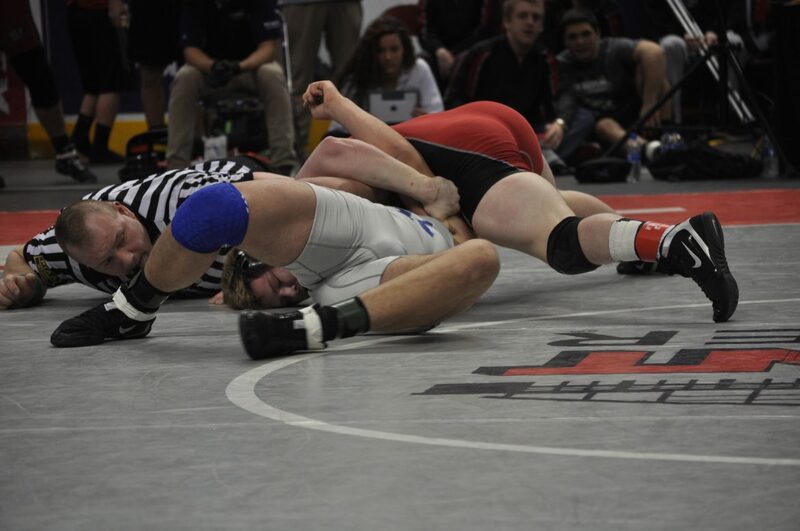 Warnke wrestled deep into overtime before winning his 2-1 decision. All said and done it was a dominant 46-20 victory for the Reynolds Raiders. 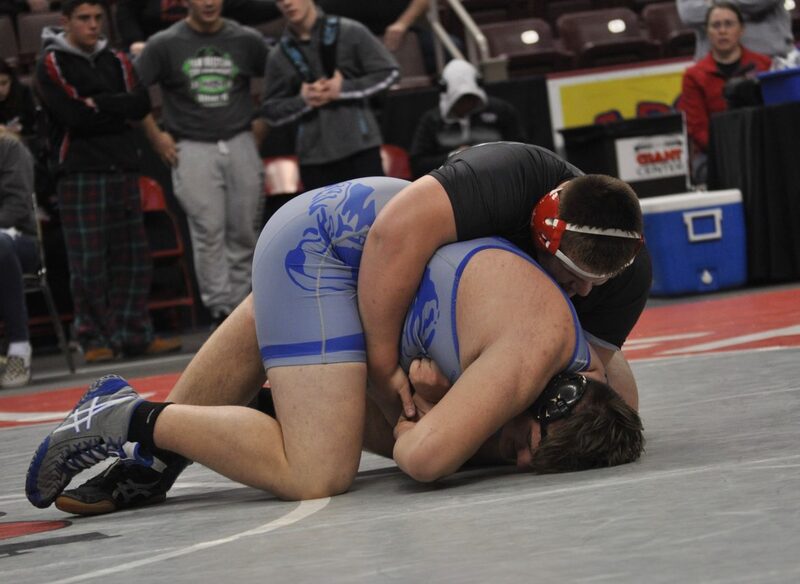 Dane Csencsits had the only Panther pin in the 2019 PIAA semifinal against Reynolds. 106- Gary Steen So., Reynolds, pinned Connor Nicholas Fr., 1:16. 113- Cole Bayless Jr., Reynolds, pinned Cael Markle Fr., 1:10. 120- Beau Bayless Sr., Reynolds, pinned Kevin Dyer Jr., :13. 126- Andrew Ischo Sr., Reynolds pinned Ryan Gilbert Fr., :40. 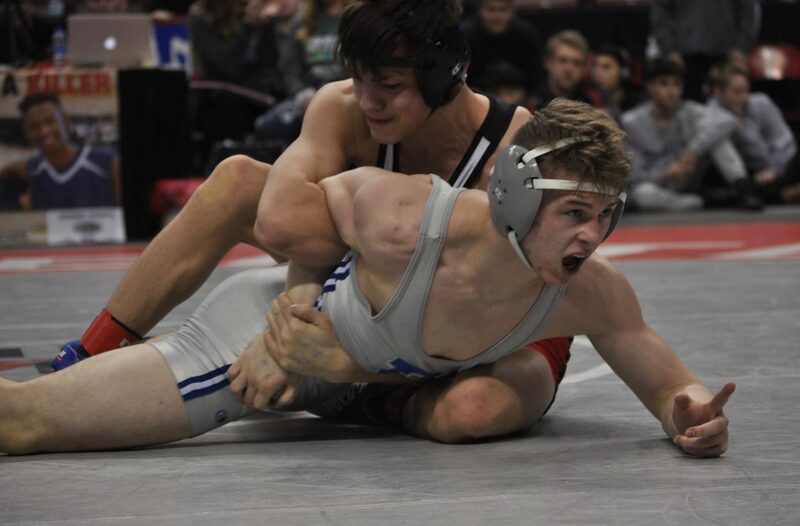 132- Josh Jones Sr., SV, technical-fall Liam Foore So., 15-0, 2:12. 138- Thomas Spirk Jr., SV, decision Kaeden Berger So., 4-3. 145- Nick Rosengrant Sr., SV, decision Alex Ischo So., 4-1. 152- Rocco Bartolo Sr., Reynolds, decision Dante Mahaffey Fr., 4-1. 160- Hunter Thompson Sr., Reynolds major-decision Ty Csencsits Fr., 10-0. 170- Cole Toy So., Reynolds, injury-default Jarrett Hirschbeck Sr., 3:19. 182- Bryce McCloskey Jr., Reynolds, pinned Kyle Coronado Sr., :54. 195- Dane Csencsits Jr., SV, pinned Braydon Herbster Jr., 3:24. 220- Evan Miller Jr., Reynolds, decision Jared Harka Sr., 6-4. 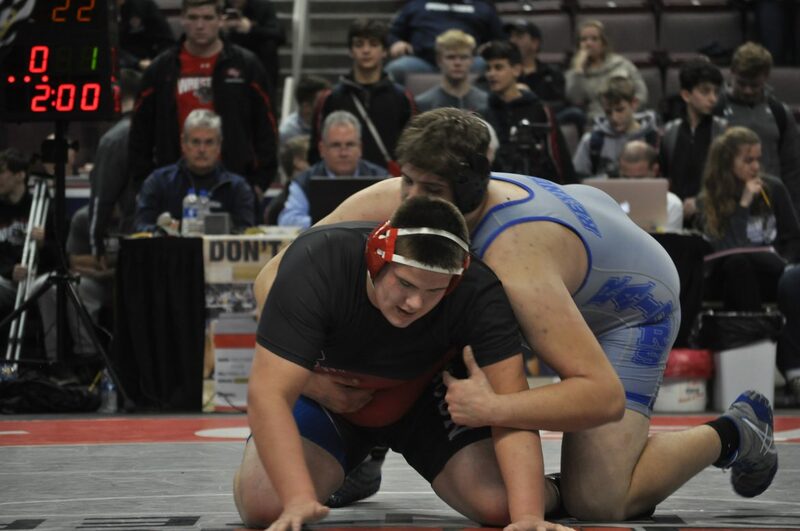 285- Nick Warnke Jr., SV, decision, Rocco Daniello So., 2-1 (OT/UTB). Up Next: The Panthers drop into the PIAA consolation bracket for a podium placement showdown with the winner between Brookville and Notre Dame Green Pond. 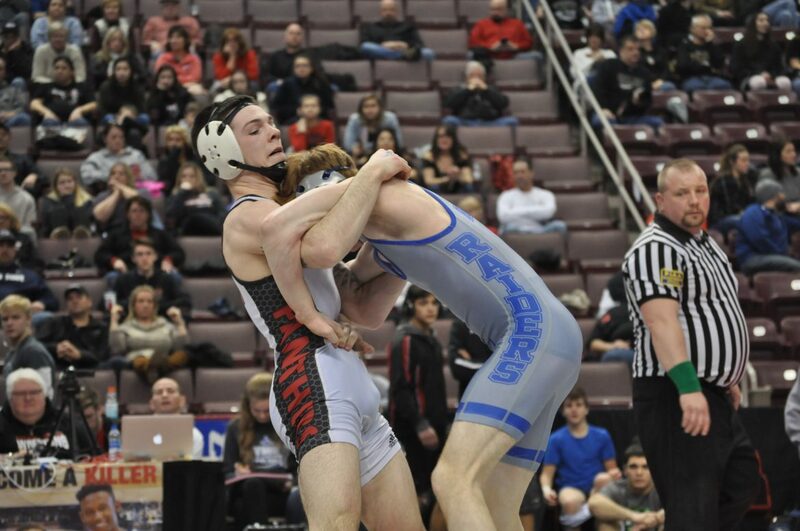 Saucon will take the mat at 11 a.m. With a win, the Panthers will wrestle for a 3rd-Place finish.